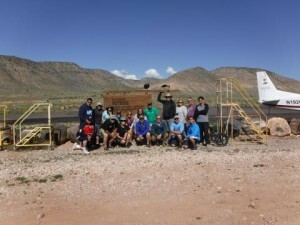 Incredible Colorado River Adventure with Great Guides, People and Views – Everyone Should Do This! 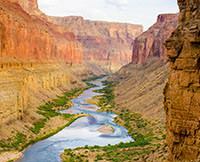 This Colorado River adventure in and of itself is awesome - how could it not be? It's the Grand Canyon! But when you consider the awesome guides (Ronnie and Jeff (and Jeff)), it took the adventure to an entirely new level. They were fun, accommodating, and informative on everything you could think to ask of them. And even though this is an "expedition", it's a wonderfully relaxing trip - but you'll get out of it what you put in, and I highly recommend you go to play, because you won't regret it. The views are unlike anything else in the world, and it gets to be a little bit of overload at times - it's just all so breathtaking, the next view trumps the last view. But don't forget to look back and see what you've just floated past, because it's an entire perspective you risk missing. My only criticisms are minor - I'd enjoy more time to explore the surroundings, but maybe that's because time is limited on the 3-day. Also, getting to the rafts is exhilarating (planes, helicopters, etc), but at the end of the trip you're hot, sweaty, tired and dirty, and then you have a 3 hour bus ride back to Las Vegas. It is what it is, but sort of took the wind out of what was otherwise an unparalleled trip. Still, I can't recommend this trip with Western River Expeditions enough. They take care of everything, and if the other guides are half as good as Ronnie and Jeff, you will have the time of your life on this trip.